As Calvert County’s #1 Rated Tree Servicing Company, we are determined to give new and current customers our best services. 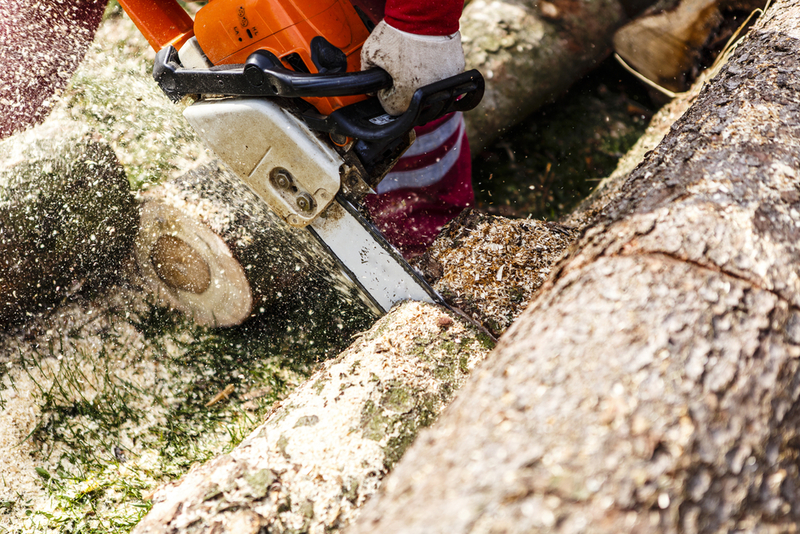 When it comes to handling big machinery and removing large trees, leave it to the professionals. We do this everyday and have the most efficient techniques to tackle any project. For us, there is no task too big or too small. Due to our abundance of modern equipment, safety gear, experience and man-power, we’re able to offer practically every tree-care related solution out there for any residential or commercial customer. Contact us today to get started! Do you have just one tree or multiple trees you want completely removed? Residential or commercial, call us today and we’ll prepare a free estimate for you. Our stump grinding pros will finish the job for you. Allowing us to help you grind any stumps you have will avoid any damage to your lawn care tools and will add extra space to your property. Small branches or big limbs, we have got you covered. Our guys have the safety equipment and machinery to help save you time. We can provide any tree trimming service you may need. Calvert County Tree Service provides reliable, honest tree services throughout all of Calvert County. We are fully licensed, insured and provide free estimates, and top quality tree service with great pricing to match. Most people don’t realize how important trees are to the environment and their property. Which is where the professionals come in. Trees can either add value and curb appeal to your home, or have a negative effect on your property value. It is very important for us as tree care takers to know that your trees are being cared for in the right way. We offer Tree trimming, Pruning, Removal Services and Tips on how to care for sick and diseased trees. Our certified arborists are tree experts and will give you their honest opinion every time. Contact us to schedule your next appointment. I can’t say enough positive things about my experience with Calvert County Tree Service. I highly recommend them to anyone who needs to remove, trim, or maintain trees. My husband and I were really impressed with what an outstanding job the crew did. We had 2 large trees that needed to be removed, and this company removed them quickly and effortlessly. Very impressed with the value, quality, and professionalism of the work done. Several neighbors recommended them highly based on experiences. Thanks for coming out to our property and help us clear the lot. This company makes an overwhelming task easy to handle. 5 stars! Great service at reasonable prices, This company does a really good job at removing trees quickly. I highly recommend them. Thank you so much for your help in trimming our trees. You all did such a great job, and were very friendly people to work with. 5 Star Service for this tree servicing company!! They came to our rescue when we needed their help with a fallen tree! Highly recommend!